RIVALRY can be the best motivator for creativity. Brisbane-born performer and original Tap Dog Aaron Cash knows this first-hand from the past eight years he has spent choreographing Ballet Revolucion with Cuban Roclan Gonzalez Chavez. “When we first started it wasn’t good at all, but we’ve both grown up and I now respect the guy,” Cash said. “It was acrimonious to start, which was good because we pushed each other’s buttons and there was that competitiveness to do the best work possible. “If I’m brutally honest, I learnt a hell of a lot from him because he had way more experience than me as a choreographer and we approach things differently. Speaking from his home in Long Beach, California, Cash said his Ballet Revolucion journey began when he received a phone call from English producer Jon Lee, who he had previously worked with on several projects, including Lady Salsa. “I was sitting at home after one hip replacement and feeling sorry for myself,” Cash said. 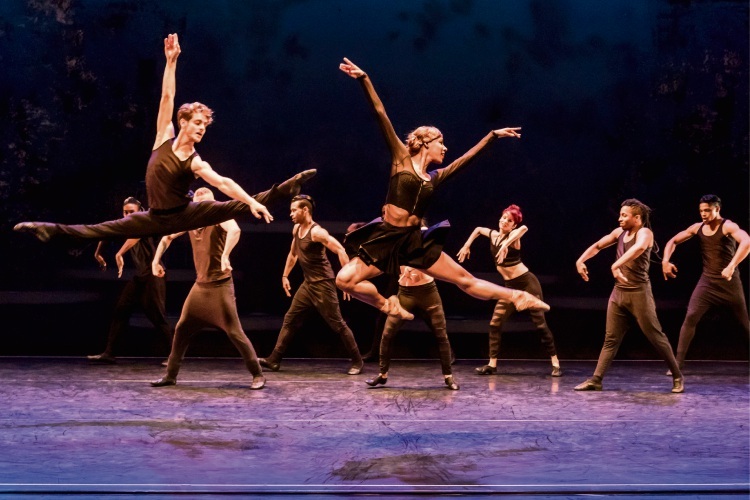 Ballet Revolucion is a blend of ballet and contemporary dance mixed with Salsa and Cuban. The cast of 20 dancers return to Australia with what Cash said was “the best version of the show that we’ve done”. “We’re not reinventing the wheel and you don’t have to think particularly hard here but it’s all good fun,” he said. Cash, who is also working on one-man show Last Dance that brings three forgotten dance masters back to life, said he was grateful to Ballet Revolucion for keeping him in the industry. “I never thought of myself as a choreographer so it really gave me the chance to become more comfortable in that area, exploring that side of my creativity,” he said.